This gorgeous Poppies design is a breath of fresh air with it's red flowers, olive green leaves, and courageous little ladybugs. The detail of the design is immaculate- down to the subtle dew drops that adorn the petals. 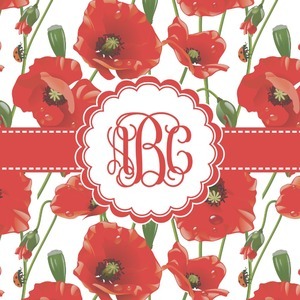 A scalloped label rests in the center of the poppy field, the perfect place for the personalization of your choice.